Well, it was a long week, but still. Here’s the stereo roundup. Got invited to Transmission Thursdays down at Hotel Chantelle which the whole band was unable to make gig wise, but a couple of us got put on the list and checked it out anyway. Place was packed due to fashion week, but good fun nonetheless. Also, in the running for band of the week at Flowers in a Gun – a NYC based blog that is well worth the read and covers loads of new bands too. Hopefully some home town votes will get us on there next week. There’s a couple more QA’s and reviews coming live soon, but as we’ve learned, these sites have quite a waiting list at times, so we are going to try and sort out a few more as we wait. We had to work on explaining the band a bit better, so came up with this picture – hope that helps. The next hurdle to jump is answering the what bands influence you / what bands you sound like. I’ve started to remember what other people have said so far, as well as some of the bands I listen to now, but that answer changes all the time (plus aren’t we technically supposed to generate our own style and sound?). Either way, have a listen and let us know what you think. Every band member of Stereo Off has been in previous bands – a couple of them are in multiple bands as we speak. And it can be a lot of work when you’re not 19 any more. But we all believe that it is going to be “that” time this time, whatever time that may be and whatever that even means. However, for new bands out there it can be a lot of hard work. This digital age makes it easy to make music and get your music heard. Which is wonderful. Gone are the days of only knowing about a set amount of bands or the hurdles you have to jump to get bands on mass market Vinyl, or in the hey-days of CD whenever that was (perhaps the 90s?). Now everyone can get out there. The negative factor is the same thing really. Everyone is out there! As a result its more important to play to ones strengths. I’m probably breaking some rule here, but we are not the next big name band that’s going to go platinum and tour the world for life, as much as I’d (and hopefully we’d) love to be. But I do want to try and write more about how it is out there because that’s exactly what bands do not seem to do, though that is also less and less a boundary these days as well. The band started in 2012, with just a few songs, gradually building into 2013 where we played a fair few gigs around New York, reminding me of all the things I loved and loathed about such nights. But it was frustrating to push things along. In the early days, you can bank on your friends going to your gigs, but the new faces need to show up sooner rather than later. To get a great venue spot, you need to really have a good following and some releases out there. That said, I think (like all bands I’ve been in prior) we’ve been able to punch over our weight there, blagging some of my favorite NYC venues, even with some recent turn outs being a little on the down side (another thing bands aren’t allowed to admit – though in our defense, still doing pretty well). However, in Jan 2014 we finally got our first EP recorded and printed out. It was cool to get this parcel in the mail, but at the same time, not quite the shiver you’d feel if you saw it in a store (though I guess these days, finding a store stocking CDs is just as rare!). That was one consistency though. Whether a band now or a few years back, whether it was getting on Facebook or MySpace, you needed to get the word out, PR, Radio, Podcasts, Reviews, etc. And you can’t do that without anything recorded. But now we have no excuse. We’re here with EP1 and ready with enough songs to make EP2 and EP3 pretty soon, and we’re hoping to time that and our music video, along with getting coverage, reviews, etc, all in a way that a wave will start to hit. Not that I’m putting an exact time-line on it, but the next six or so months will be key. For those that know me, I spent many years on the other side of the Atlantic seeing bands come and go much faster than over here. Nowadays its full speed on both sides. Are you in? Just wanted to get the word out about Dead Red Eyes and their upcoming premiere in NC. 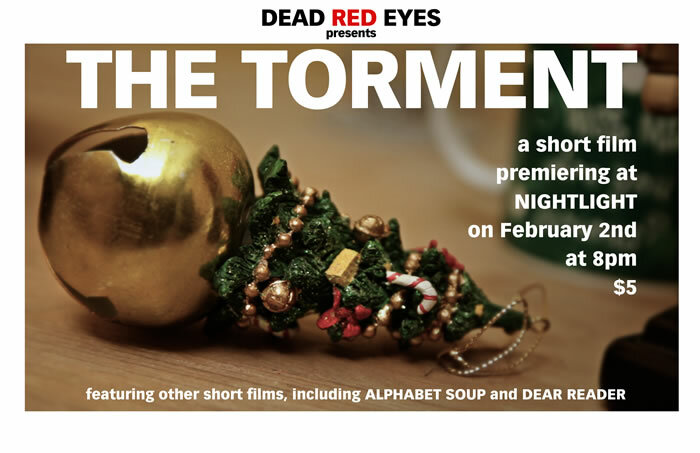 Two short movies by the indie film makers in particular, “The Torment”, and “Alphabet Soup” – both just finished. One of which has Stereo Off doing the music soundtrack for it, the other has some cuts from my previous band. 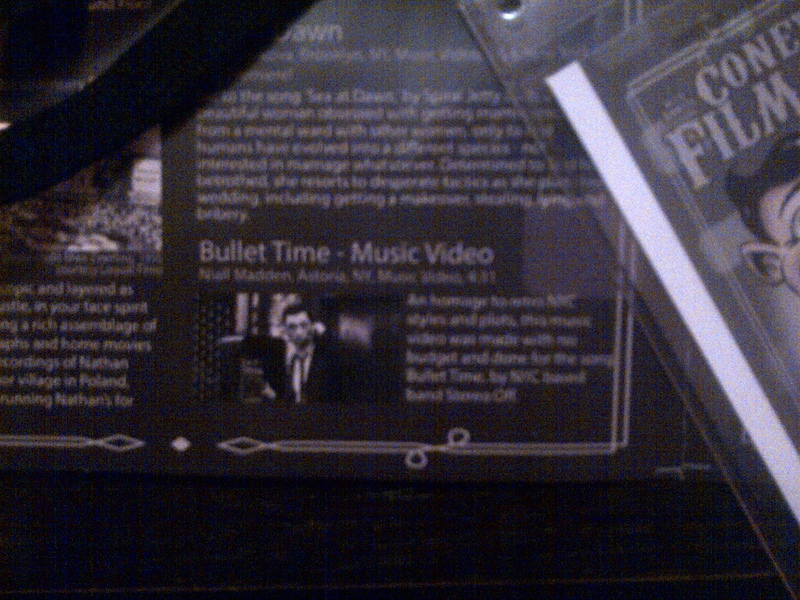 So its sort of self-promotion. But cross-promotion too. Does that make it better or worse? Anyway, find out more at www.deadredeyes.com. Once the film is publicly available, we’ll update the link here too.